Merry Christmas 2014 from Bothen Hill! We are now in the throes of our busiest time of the year, with our Christmas turkeys and vegetable boxes all ordered and getting ready to be delivered across Dorset over the next few days. We will be closed between Christmas and the New Year but back to usual deliveries and opening times on January 2nd. 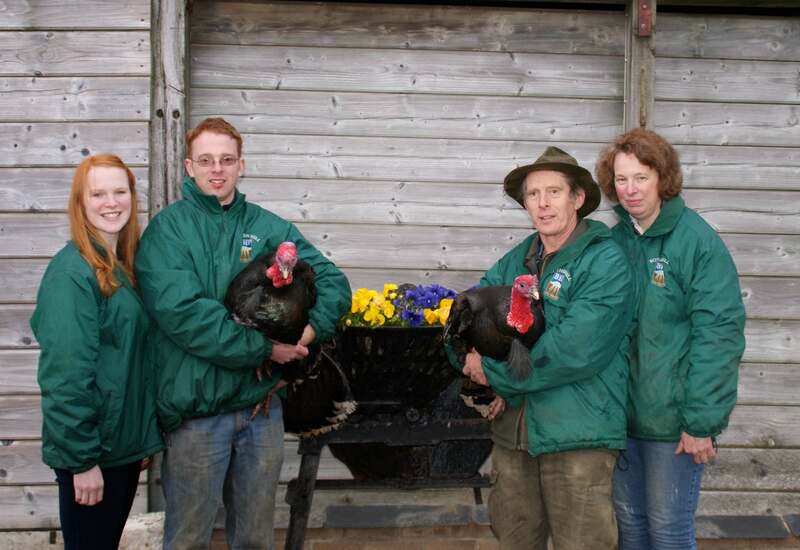 Our Christmas turkeys are reared as day old poults, arriving in the Summer, and allowed to grow and mature slowly over the months running up to December. Their feed is supplemented by our organic vegetable waste – we’ve found that cabbage is their favourite! – and they are allowed to roam free in the field during the day. We have a very loyal customer base who have been returning to us for years and are very proud of our reputation for producing what many customers describe as the most delicious turkey they have ever had. On the vegetable front, winter veg is in full swing, with plenty of greens, including sprouts, sprout tops, curly kale, Red Russian kale, cavalo nero and purple sprouting to complement our usual range of root vegetables. One of the biggest challenges that we are faced with during the winter months is ensuring a continual supply of staple items such as carrots is possible; this involves planting the crop at intervals throughout the Autumn, including some sowings in our polytunnels for the latter months. 2014 has been a busy year for us, with the excitement of planting our own broadleaf native woodland and yet more asparagus, we are looking forward to watching our hard work grow! We’d like to wish all of our customers a very Merry Christmas and Happy New Year – we look forward to seeing you in 2015.